You have entered a wrong user id / password or user has expired. Select Security Question What was your first pet's name? What is the name of your favorite movie? What was your favorite childhood toy? What was the last name of your favorite childhood friend? What was the mother's maiden name of the first person you wanted to marry? *Regular fees and monthly billing apply after Special expires. For a limited time: $399 for 12-months service. (Lock-in a guaranteed lifetime monthly subscription of $33.25) by applying Promo Code: DCC1249. Immediate & automatic service. Unlimited drivers & unlimited booking. Taxes may apply. Non-payment of subscription or when promo code expires terminates service. No charge to terminate service at any time..
You must have a payment method on file to process your request. You will only receive a billing when your subscription or Promo Code Expires. I authorize Direct CabCall to charge any debit / credit card payments to my debit / credit card(s), and/or I authorize my bank to deduct any checking / savings payment(s) from my checking / savings account, per terms indicated above. I authorize Direct CabCall to apply my promo code and upon expiration to deduct any checking / savings payment(s) from my checking / savings account, per terms indicated above. If a payment profile was created, I authorize Direct CabCall to charge any debit / credit card payments to my debit / credit card(s), and/or I authorize my bank to deduct any checking / savings payment(s) from my checking / savings account, on the payment date(s) indicated above. 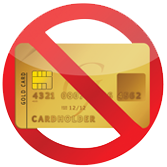 If Direct CabCall is unable to secure funds from my debit / credit card(s) or my bank for any reason, including, but not limited to, insufficient funds in my debit / credit card or bank account or insufficient or inaccurate information provided by me when submitting my electronic payment, Direct CabCall may automatically terminate my service. If my Direct CabCall account balance is less than the amount of my scheduled payment on the day of payment, Direct CabCall may automatically terminate my service Payment cancellation or unsuccessful payment may cause an interruption of my service and additional reactivation fees. Direct CabCall will send me an email confirmation of my one-time and/or scheduled payment(s). By clicking PAY, I have read and agree with the above Terms of Service. 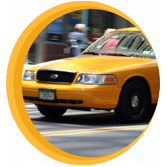 The only Taxi Cab and Fleet Services app that services everyone worldwide. 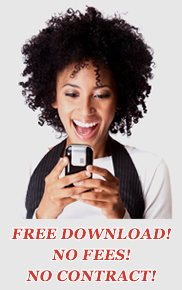 Just download and sign-up for immediate activation. Service is provided when at least one driver and one passenger are both logged-in in the same local area. 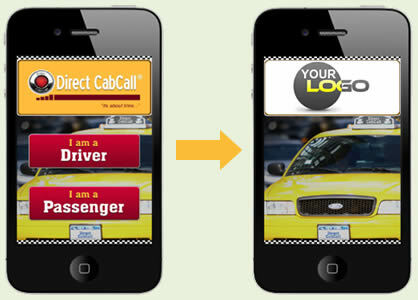 You may also order a version of the Direct CabCall App with your own logo or in your own language, other than English. We've got you covered locally and worldwide! THE "TAXI CAB TECHNOLOGY GAP" IS OVER! Big city, one-horse town, worldwide - same great service. "It's About Time!" You have my word on it. First and Only Worldwide Universal Taxi Cab App. Illegal Taxi Apps in your Jurisdiction? 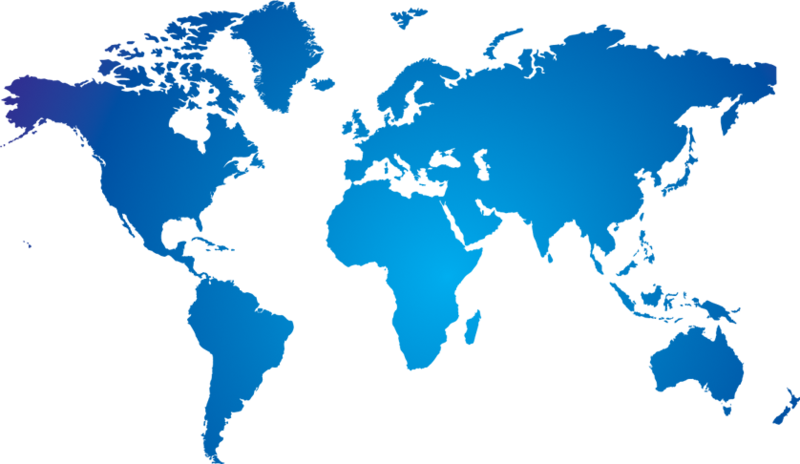 Direct CabCall complies 100% with regulations in every jurisdiction worldwide! Join our worldwide network of passengers and drivers today! Passenger can book any Direct CabCall driver in their local area or when traveling – worldwide! 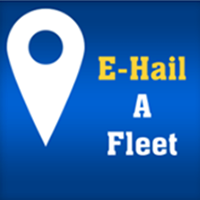 All drivers are linked to a Fleet Account with local & required business documents are available for review here. Driver's keep 100% of your fare and tip! No fees. No contract. To Register, Drivers must obtain a Fleet Account Number from their company or organization. 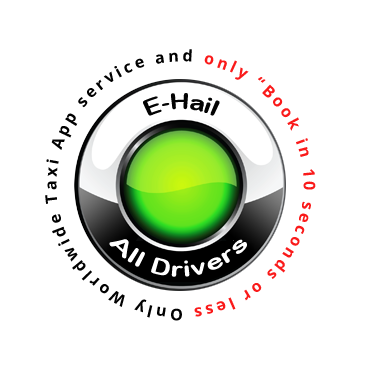 A driver can book any Direct CabCall passenger in their local area. 4-WAYS TO REQUEST A DRIVER! One-Tap Patent Pending "Book in 10 seconds or Less!" Just one-tap to completely book your taxi "in ten seconds or Less!" Direct CabCall is the fastest most complete taxi booking on planet Earth. OR: Two-Taps to book your favorite fleet or any other. 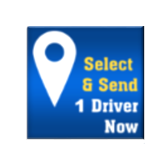 Locate all local Fleets with available drivers. Select one or all. Just tap and you're booked "in ten seconds or less!" 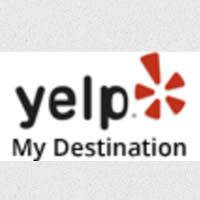 Use YELP to locate your destination then, just one- tap and you're booked "in ten seconds or less!" to your destination. OR: Use "Select and Send" to manually enter your request. 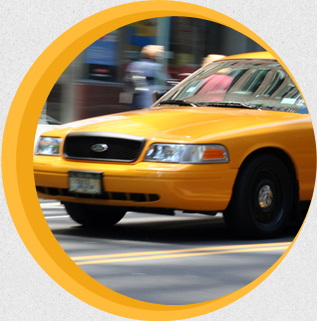 Passenger's FREE Taxi Cab App. Services Every Passenger & Every Driver EVERYWHERE! 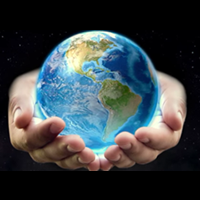 WORLDWIDE SERVICE! COMING SOON: Option to pay driver by credit card. 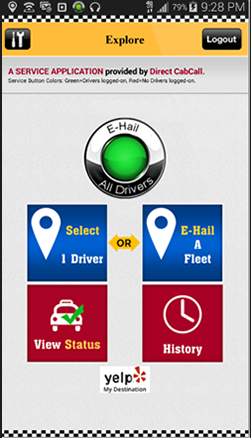 Review personal notes for yourself or forum noes for others when selecting a driver. 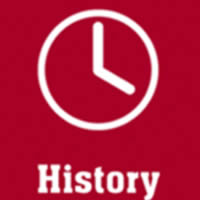 Save: Check "History" tab, create notes, review, or email Trip History. Requires at least (1) passenger and (1) driver logged-in in the same local area. DIRECT CABCALL "IT'S ABOUT TIME"
1 logged-on Passenger + 1 logged-on Driver in your local area and you've got service! YES, IT'S THAT SIMPLE. WE HAVE GOT YOU COVERED WORLDWIDE. Get Your Fleet Services Today! "Yes, there's an app for that!" TAXI CAB COMPANIES & OTHERS – GET YOUR PASSENGERS & DRIVERS SERVICE TODAY! $49.00 Monthly A guaranteed fixed rate for the life of your subscription. Or apply Promo Code “DCC1249” to get 12 Months of service for just $49! 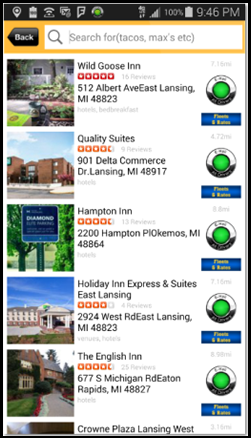 Immediate local activation and Service. Get immediate & local service for your passengers & drivers. Finally, there's an app for that!" 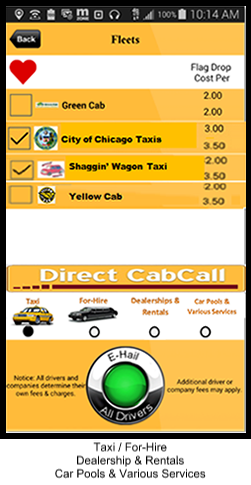 TAXI CAB COMPANIES & OTHERS – ORDER YOUR PRIVATE LABEL TODAY! Under your own Private Label Taxi Cab Companies & Others create their own Fleet Accounts. Book "In ten seconds or less!" 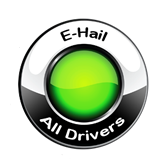 No Booking Fees for Drivers or Passengers - Always Free! Direct between passenger and driver. No dispatcher. No credit card required*. No contracts. No fees. No Obligation. Discontinue at any time. *A credit card is not required to book a ride. 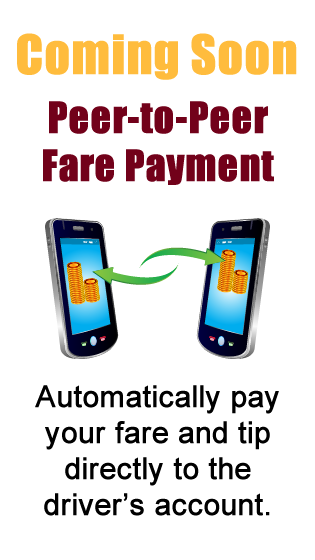 A credit card is only required if passenger is using Direct CabCall "Fare Payment" to pay the driver. Processing fees may apply. Comments, trip history, transaction receipts, and text messages are sent to passenger & driver. To review go to myAccount.